​Eggs and muffins for breakfast sounds great – but cooking it can often be tedious at best. That is why the Back to Basics Egg-and-Muffin 2-Slice Toaster and Egg Poacher approach of combining an egg and muffin toaster into a single device should make things that much easier. 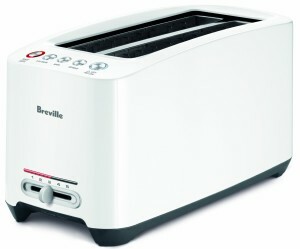 Based on reputation alone it is easy to see that this is one of the best 3-in-1 toaster options out there – but what about it is really so unique? ​What Makes it Stand Out? ​A big part of what makes the Back to Basics egg and muffin toaster stand out is the sheer amount of options that it offers. It tends to be billed as a ‘3-in-1’ egg and muffin toaster because it is able to toast bread, cook eggs, and heat pre-cooked meat – however there’s really a bit more to it than that. Not only is it able to soft or hard poach eggs but it can also boil and scramble eggs too, which pretty much means it has all the most common varieties of breakfast eggs covered. ​Using the egg toaster is actually really simple and straightforward. It has a touchpad on the side that will allow you to set whether you want to use the egg cooker, toaster, or both – and subsequently it’s just a question of choosing the right tray and loading up your ingredients. The warming tray can be used to heat up pre-cooked meat, while the steamer tray can boil up to 4 eggs at once. ​All in all it can be a big time saver, and once you get used to it you’ll be able to use the egg and muffin toaster to get breakfast ready in just a few minutes. Trying to scramble eggs on the egg toaster can take a bit of practice, and similarly trying to get your soft poached eggs ‘just right’ might take a bit of experimentation too. ​As an egg and muffin toaster, the Back to Basics egg toaster certainly does what it was built for. It makes the entire process as painless as possible and is certainly one of the best 3-in-1 toaster options due to its attractive price point and extensive array of flexible features. After you overcome the initial learning curve, you’ll find that it is ever so easy to quickly whip up a great breakfast of eggs, muffins, and even pre-cooked bacon too.